Thanks to our unique location, getting to Orca Island Cabins is part of the adventure. The yurts are located nine miles from Seward tucked away inside Humpy Cove in Resurrection Bay and accessible only by boat. 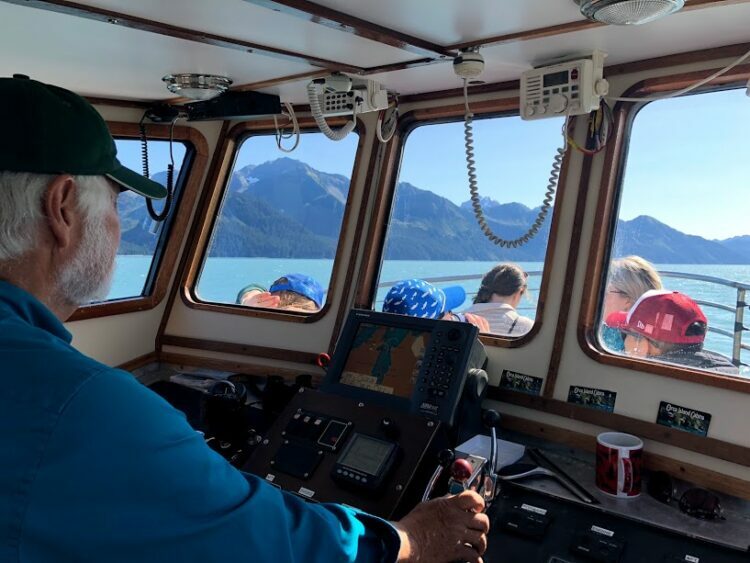 After guests arrive in Seward, we meet at the top of J-Dock Ramp in Seward Harbor. The harbor is home to a variety of commercial and recreational fishing boats, sailboats that have travelled the world, tour boats and our water taxi, the Orca Islander. 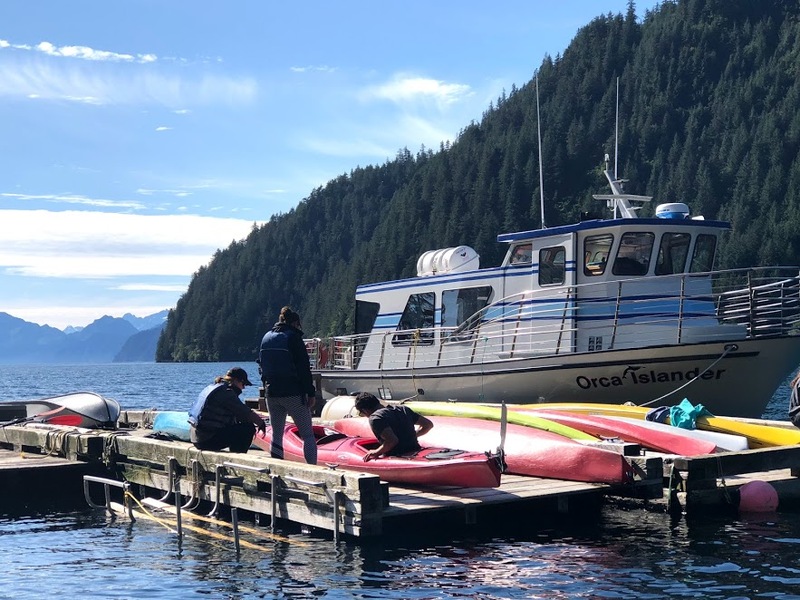 The Orca Islander leaves for the cabins at 1 p.m. daily, so guests are asked to meet us at the dock about 15 minutes prior to departure. On good halibut fishing days, though, it’s always nice to get to the dock early and take a peek at some of the halibut caught that morning, from hundred-pounders to smaller fish (known as chickens). At 1 p.m. our 15 passenger cabin cruiser, the Orca Islander, departs for Orca Island Cabins. The trip from Seward to the cabins takes about one hour, depending on the sea conditions. Our ride out to Orca Island Cabins is more than a water taxi ride, though. The trip is a great opportunity for wildlife viewing, with the possibility to see a wide array of birds, seals, sea otters and the occasional whale! We also explore the features of Resurrection Bay, a fjord marked by jagged cliffs and the beautiful foliage of a temperate rainforest. And we’re always sure to point out the Iron Door, which is the remains of a searchlight and bunker from World War II. And all this before we even pull into Humpy Cove and dock at Orca Island Cabins!